the lovely Debra Spector came in so excited for the second time, we did her hair. 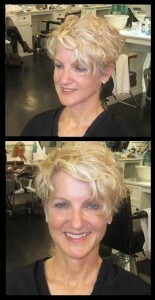 She was so happy with her new look(color+cut), she loved the products, and cant wait to be back again! Thank You Debra, cant wait to have you back.